Eurofit supply thousands of folding frames each year for use in offices and schools across the UK. These robust table legs lock open to make durable tables and then click back down flat to stack for easy storage. We stock a massive range of assembly fittings for all types of furniture. Our fittings include chipboard screws, fixing cams and dowels, as well as specialist products for kitchen fitters. Concealed hinges are used in cupboards in every room around the home and office. We stock a huge range of options for various types of cupboards - covering all opening angles and sizes. 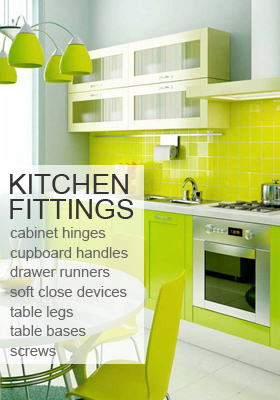 We supply fittings and components for kitchen and office furniture. 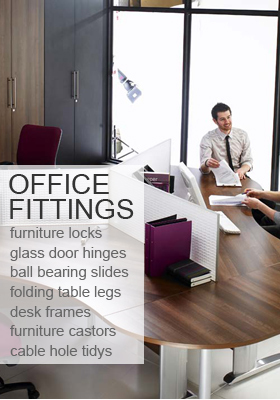 We specialise in drawer runners and concealed hinges for furniture in homes and offices across the UK. Euro-Fit Systems, incorporating Eurofit Direct, IntAfit (UK) and Ferrari (UK), are based in Beverley - close to the M62 near Hull - in the capital of East Yorkshire, at our 55,000 sq ft warehouse and office complex. 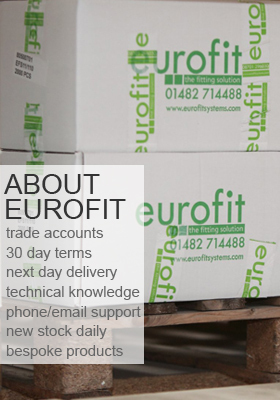 With over 20 years of experience and over 2,000 products listed, with thousands more available to order, Euro-Fit provide for all the furniture fixtures and fittings needs for the Office, Kitchen and Shop Fitting industries. We are proud to exclusively offer concealed hinges for cupboards from one of the largest hinge manufacturers in the World - Ferrari Spa - the renowned Italian hinge company. we have a great range of furniture locks for cupboards and drawers, all available with key options and matching accessories. We offer our own fixed core options, as well BMB germany's core removable system. Our table bases are used in offices and kitchens around the country - and now we also stock options for cafes and bars, with contemporary style choices of finish and styles available from stock. We are one of the largest importers of drawer runners in the UK - supplying some of the biggest office furniture manufacturers with millions of drawer runners each year.